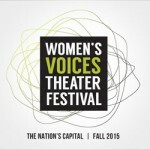 Thanks so much to our colleague and friend, Laura Shamas, for this special in-depth report on the plays she saw at the Women’s Voices Theater Festival last week. 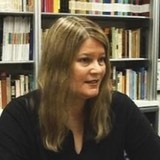 For more information about Laura Shamas, please visit her website at: www.LauraShamas.com. About fifty-two world premieres of female-authored plays and musicals are being produced by 48 Washington, D.C. area theaters, a mix of large and small companies (Equity and non-Equity); the launch party was on September 8, and the last show closes on Nov. 22, 2015. 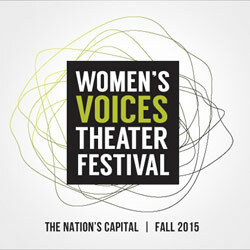 With a budget of over $500,000, co-produced by Nan Barnett (Executive Director of the New Play Network) and Jojo Ruf (Managing Director of the Laboratory for Global Performance and Politics at Georgetown University and Executive & Creative Director of The Welders), the Festival was initiated two years ago by seven D.C. area theaters: Arena Stage, Ford’s Theatre, Round House Theatre, the Shakespeare Theatre Company, Studio Theatre and Woolly Mammoth Theatre Company. (See a video of the artistic directors of these companies.) The festival is designed both to boost to women playwrights and to draw attention to the scope of D.C. theaters – a win/win. The first Festival play I saw was Witches Vanish by Claudia Barnett, directed by Deborah Randall at Venus Theatre. This play features The Weird Sisters from Shakespeare’s Macbeth as a metaphoric theatrical entity who witness (or sometimes cause?) women to vanish in real life and in literature. 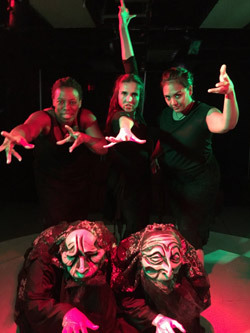 As playwright, Barnett asks: “Why do women vanish?” With elements of puppetry, dance and fascinating vignettes, Barnett’s script interweaves scenes about “lost” women. It runs 90 minutes without an intermission. I admired the all-female cast. The next play I saw was Chimerica by British playwright Lucy Kirkwood. Although it was not an official part of the Festival, it was scheduled to coincide with the Festival for its U.S. premiere. Ironbound by Martyna Majok, directed by Daniella Topol, at Round House Theatre was the next show I caught in the Festival. Majok, who was born in Poland, is an award-winning playwright on the rise (New Play Network Smith Prize, David Calicchio Emerging American Playwright Prize, 2015-2016 Playwrights of NY Award, among others). With a cast of four, Ironbound is a 90-minute tour-de-force that takes place mostly at an urban bus stop. 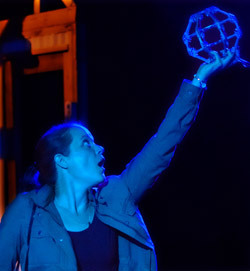 A huge “X” image in the industrial set by James Kronzer marks the spot; and the protagonist Darja (beautifully played by Alexandra Henrikson) holds the stage the entire show. We learn in real time and flashbacks about the key points of her life and relationships in the U.S., from 1992 – 2006. Without giving too much of the plot away, It’s ultimately about the bond between mother and son, and the meaning of love. 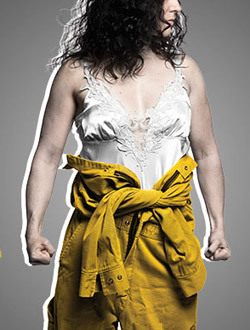 Ironbound will open next in New York in March 2016, co-produced by The Women’s Project and Rattlestick Playwrights Theatre, again directed by talented Topol. Liz Maestri’s Inheritance Canyon, directed by Lise Bruneau, produced by Taffety Punk Theatre Company was the next play I saw. Inheritance Canyon is a zany and thought-provoking look at a scientific experiment and the meaning of life. It takes place in a canyon near a desert, and involves three friends: Shell (Esther Williamson), Sal (Teresa Castracane) and Gary (James Flanagan). They witness a mysterious explosion, and then are put under medical surveillance, a sort of limbo-quarantine, for the rest of the play. The play, in two acts, runs about two hours, with an intermission. And speaking of intermission, the character switch that happens between the first act Shell and the other Shell (Gwen Gastorf) was theatrically fun at the top of the second act. One of the meta-themes in Maestri’s play was “performance” in modern life: if we “perform” a function, does that mean we become it, Maestri wonders? Caleen Sinnette Jennings’ one-person play, Queens Girl in the World, directed by Eleanor Holdridge and produced by Theater J, is the last show that I saw. The virtuoso performer Dawn Ursula plays every character in the piece. Queens Girls in the World depicts in two acts, what it was like for a studious and bright African-American girl to grow up in the Civil Rights era, and to live through its violent days. 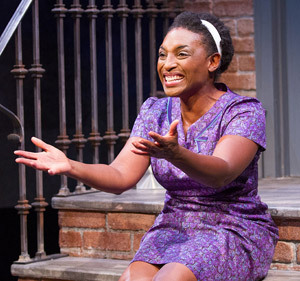 By the end of the play, Jackie’s parents are so fed up with life in America that they move to Nigeria. The beautiful star-field projected at the end of the show, as they sail away, serves to highlight Jackie’s poignant continuing search for her identity. Everything about the production is top-notch, and the super-talented Dawn Ursula is unforgettable. In Holly L. Derr’s recent Howl Round post about the Festival, Nan Barnett mentions plans for a post-Festival handbook that could be used as a guide by other cities to mount their own versions of this kind of festival. Yes, please! This entry was posted in Uncategorized on October 13, 2015 by Martha Richards.